I used to work in government. Very many politicians get it into their heads from time to time that it would be sensible to do something(whatever - nothing to do with competitions per se). The job of officers at a senior level is to remind them courteously but firmly that they actually MUST work within the law and the rules of conduct laid down - and then explain to them what they can and cannot do and hopefully provide a way round which satisfies the intent and works within the rules. It's never an easy thing to do - but there are very good reasons those rules exist. In terms of competitions within the UK, competitions that genuinely rely on skill, judgment or knowledge are to permitted to operate free of any regulatory control under the Gambling Act. However they do need to comply with some other specific aspects of other law - and Prize competitions and the law: navigating the labyrinth provides an interesting commentary on this. 5.3 All photographs must have been taken by the entrant from life and with a living sitter after 1 January 2016. Put very simply an Android is not living. There is no life. Hence in entering a photograph of an android, the submission by Maija Tammi was breaking the rules of the competition by not being in compliance with Rule 5.3. She also recognised this fact and says she made it very clear on her entry that the subject was not living. The fact she made that clear is irrelevant to the action of the Panel - as the panel has made it abundantly clear that they have absolutely no knowledge of anything to do with the photograph beyond the title. Ergo, the responsibility for any action that needed to be taken in relation to the eligibility of the entry lies with the responsible competition organiser who is not part of the Judging Panel - if such a person indeed exists! My view is that the photograph which won third prize was ineligible to be even considered as an entry never mind winning a prize. Rule 6.1 states what the Judges can do. 6.1 The decision of the judges is final and no discussion or correspondence can be entered into at any time. The judges reserve the right to vary the prizes or not to make any award. Well I didn't enter the competition and I can discuss their actions at any time! What this means to me is that judges have scope to vary the prizes ONLY as in, for example, whether they are awarded and/or combined. However they do NOT have the right to vary the rules of the competition i.e. which entries are eligible to be judged. In other words, while I do not doubt they genuinely thought they had the right include the portrait photograph - because it was a particularly compelling portrait and because it raised interesting questions about the genre of portraiture - I believe they were wrong to do so. award a prize to a portrait which is ineligible - according to the defined RULES of the exhibition. If they want to do something like this again in future, they need to vary the rules of the competition and then get them checked by a lawyer. In my view what went wrong was that nobody outside the Panel of Judges acted as the "Guardian of the Rules" and reminded the Judging Panel that they cannot, as a matter of fact, vary the rules of submission once they have promoted the competition and taken entries and the fees they charge for entry i.e. entered into a contract. An entry which is ineligible under the rules should not even be considered for exhibition never mind a prize. Personally speaking, I can well understand why the entry interested the judges and why they wanted to include one of the photographs. I'm certainly not saying the photo series it is part of has no merit. For me the second big mistake was in making it part of the exhibition and shortlisting it for a prize. definitely not be an exhibit which was eligible for a prize (since it wasn't eligible to be an entry). If they'd done that I doubt that anybody would have raised an artificially drawn eyebrow! ....I wouldn't be in the least surprised. However let's not forget that the only reason that people don't cry "Foul" in competitions of this nature when this sort of thing happens is because they'd really rather like to make progress in their careers and, in particular, don't want to get blacklisted. Being a retired person with none of those concerns I have no such inhibitions about crying "Foul" when I think it is warranted. If people were to object, I'd only be surprised if the competition organisers could come up with good legal argument for why they were under no obligation to refund the fees. Marketing communications must reflect the spirit, not merely the letter, of the Code. the rules in future make it very clear that any and all entries that do not comply with every single aspect of the rules will be rendered ineligible at whatever point this is discovered. the organisers appoint a "Guardian of the Rules" to sit alongside the Panel and determine what it is legally possible for the Judges to do if they want to exercise their discretion - as defined within the rules. somebody uses their common sense and thinks of another way of recognising the merit of an ineligible entry without breaching the rules of the competition - which would have been my preferred and recommended option! Can I just emphasise that I don't think any blame attaches to Maija Tammi. She was pushing boundaries - but made it abundantly clear what the issue was. The blame to my mind lies with the filtering process relating to eligibility and the organiser who didn't spot that this was an issue on which he or she needed legal advice PRIOR to the Jury seeing the entries! Below are newspaper articles which discuss the inclusion of Maija Tammi's photograph of a robot. 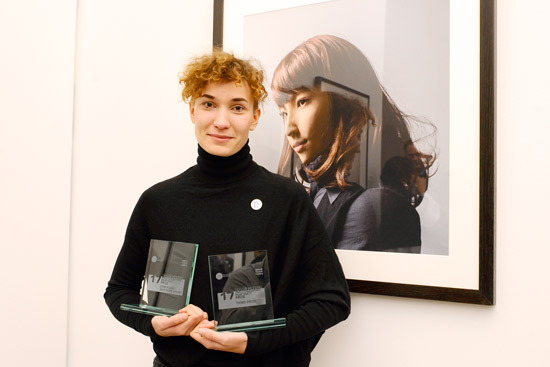 Taylor Wessing Photographic Portrait Prize 2017: Maija Tammi on her shortlisted robot portrait | Evening Standard - which provides an excellent and in-depth explanation of why she did it - and the fact she made it clear on the entry form that it was a photo of a robot. 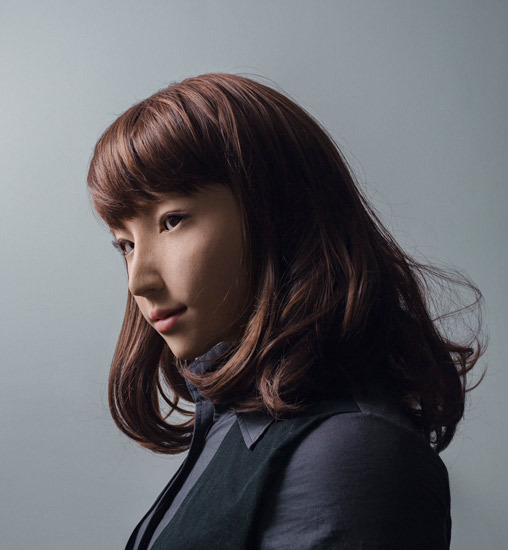 Robotics, sci-fi and the search for the perfect artificial woman | The Independent - moves the discussion on the society's interest in "the perfect woman" and robotics. I couldn't agree more. When a competition posts its rules and then those rules are ignored by the organization or judges, it is a bait and switch deal. You can't tell every one that these are the rules in order for you to participate and then switch them in such a significant way-- that's fraud. Money has changed hands based on a specific agreement and then the agreement is ignored. This is why I rarely enter juried competitions any more. It is sad and discouraging for any artist who reads the rules and complies when they enter a competition to see entries accepted that clearly breach the guidelines stated by the organisers of the show. What message does that send out ? That rules don't mean anything. Not only that artists pay good money to enter competitions so it can leave a very sour taste in your mouth to see an entry not only accepted that does not comply but also winning and taking home the prize money. Just to add salt to the wound is the knowledge a good portion of the prize money has come from the artists entries who did comply with the rules. Judges need a good shake up over this I think. I also agree this should not have happened and was incredibly unfair to the artists who complied with the rules. A photo of a so called android is no different from a photo of a highly realistic statue. Changing entry rules AFTER the fact is just wrong. I think the judges owe everyone involved an apology and should let this photographer keep the money but give both the awards to other artists who followed the rules. If they want to change the rules for next year to include androids from now on because they think it it is interesting fine but portraits of androids are going to get old in a hurry. It just seems like a gimmick to get attention for the competition. I thought it was just me. The image of the Android seemed not to fit in with some of the powerful work submitted and included in the winners and exhibition. Rules have to be changed from time to time as the world moves on but cannot be retrospectively amended with a rather glib statement from the NPG. There is danger of deciding what a “Living” sitter is and the actions of the panel have made rule 5.3 null and void. So I’ve started a series os images of shop dummies - will one of these be accepted for entry? Sorry I know that’s a rather silly reaction but at the end of the day one or two artists who followed the rules have missed out on much needed funding.